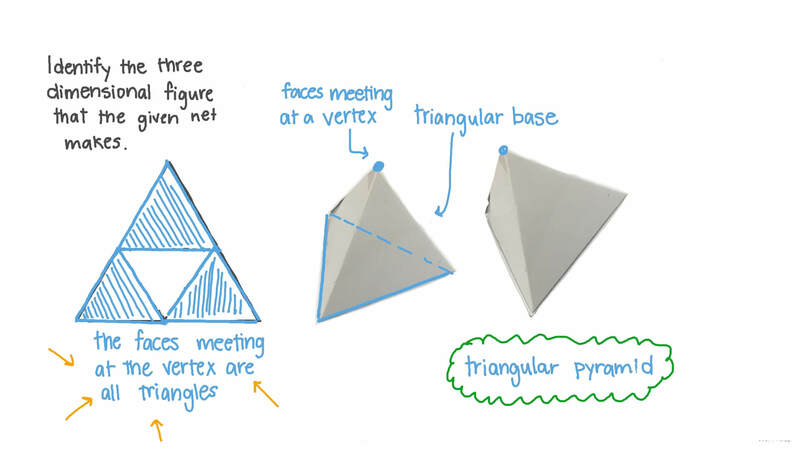 In this lesson, we will learn how to form a three-dimensional shape from a net. 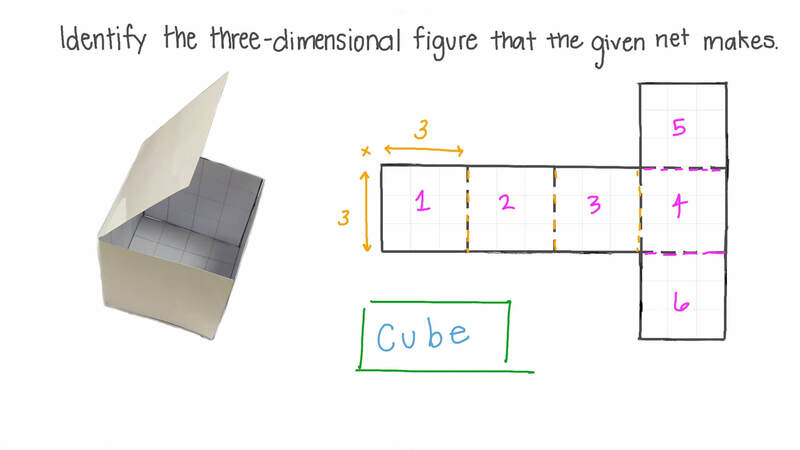 Identify the three-dimensional figure that the given net makes. What shape can I make from this net? What 3D shape can be made from this net? Which of the following is the solid that can be formed from folding the given net? Which of the following is the shape that can be formed from folding the following net upward? Select the net of this shape. You can fold a net of a shape to make that shape. This rectangular prism has 4 pink faces that are rectangles and 2 green faces that are squares. This net has some faces that are triangles and a face that is a square. What shape will it make? This pyramid has 4 orange faces that are triangles and 1 blue face that is a square. You can fold a net of a shape to make that shape. This rectangular prism has 6 faces that are rectangles. Find a net for the rectangular prism. 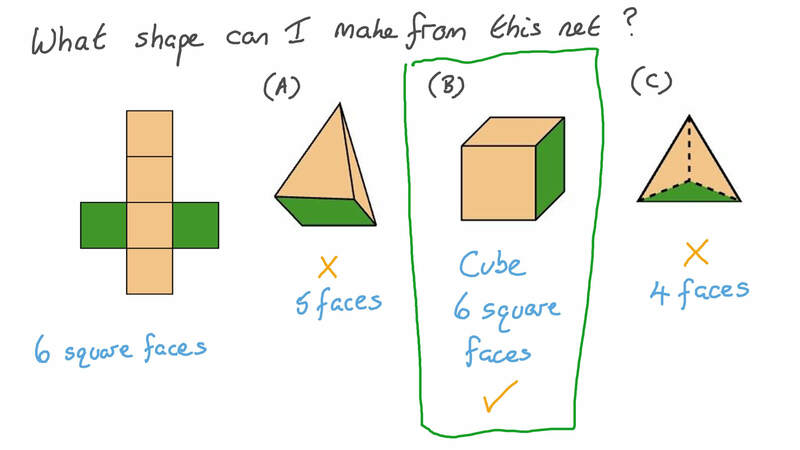 Which of the following figures can be made into a cube? Which of the following solids can be formed by folding the given net? Which of the following is the net of a cube? Which of the following solids can be formed from folding the sides of the following net upward?